Nuclear fusion has the power to fundamentally transform our world. And it will likely be realized in our lifetime. Nuclear fusion is not a pipe dream. It’s a proven process that occurs naturally everyday in nature (just look up at the sky during the day, you’ll see a fusion reactor right there in the form of the Sun). It could mean an almost limitless supply of clean energy, and we’re nearly there. Fusion power is the reaction by which nucleosynthesis transmutes (changes) atomic nuclei, normally hydrogen atoms, by smashing them together to form a new nucleus, which releases energy. This is made possible in fusing stars thanks to the high gravity. The same can be accomplished on Earth by using magnetic fields to constrict extremely high temperature plasma (really high temperature, like, millions of degrees). Scientific communities have been honing the process for years and have actually accomplished real, clean fusion reactions…but only for abysmally short periods of time. In 2013, the EAST tokamak reactor gave a sustained fusion reaction of about 30 seconds, which is a huge step forward considering that reactions up to that point had been measured in mere milliseconds. The following is everything that you need to know about nuclear fusion, its problems and perils, and how it could utterly transform our world. Since the necessary temperatures that cause a sustainable reaction are so high, the material that’s used to contain the reaction would normally melt. The alternative, which is the generally accepted method of containing a fusion reaction, is to use magnetic fields to constrict the resulting plasma, thus keeping the plasma a fair distance away from the reactor’s internal walls – however, this presents problems in and of itself. However, the technology used to create powerful magnetic fields is simply not yet advanced enough, although we are very close to accomplishing it. Fission reactors, the ones typically found operating on power grids today, use uranium 235 bombarded by high speed neutrons, breaking apart the uranium atoms and releasing energy that’s then harnessed in the form of heat. The problem with this process is that the resulting fission products, the most notable of which are gamma emissions, are dangerous—they cause cancer in small amounts and can be outright lethal if a large enough dose is received. In addition to the harmful radiation emitted from a fission reaction, the resulting nuclear waste remains radioactive, in practical terms, forever. Chernobyl Proper, for example, will not be habitable for about 20,000 years, although the Chernobyl exclusion zone might be habitable sometime within the next 200 years. Fusion reactors, on the other hand, while they do produce radioactive waste, its radioactive half-life is far shorter lived, and is initially much less dangerous than fission by products by far. In fact, the primary byproducts of fusion are helium, neutrinos, and heat; helium is harmless in terms of you and me, as it is an inert gas; heat is captured and used as the motive device for powering steam generators; neutrino emissions are easily countered with shielding and under normal circumstances aren’t found in high enough concentration to irradiate the surrounding environment. 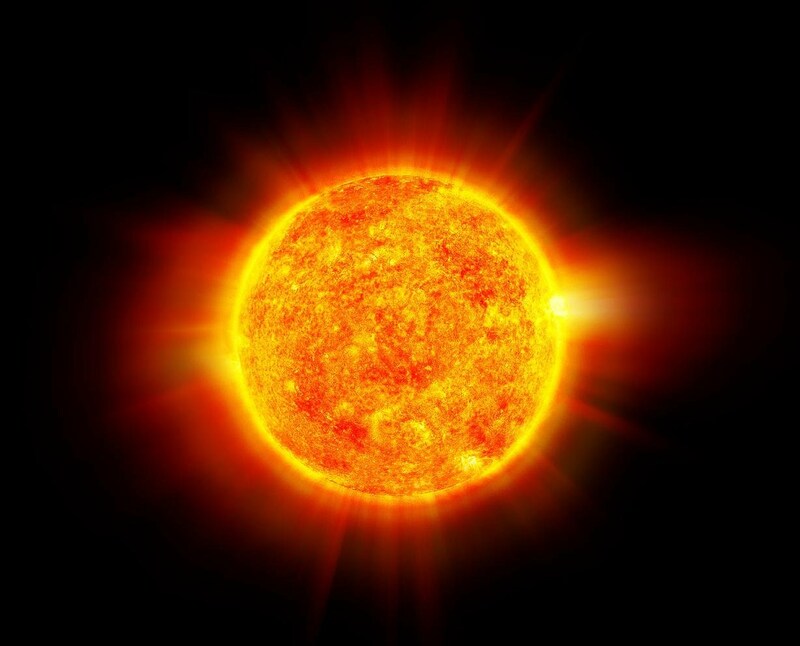 The Sun at the center of our solar system is so massive, and the elements inside it are crushed under so much pressure (caused by the Sun’s tremendous gravity well), that hydrogen atoms combine to create helium, releasing heat, light, and other types of radiation that both sustain and afflict Earth. A neutron star is an example of a formerly fusing star that has burned all of its fuel and likely gone nova, leaving behind a collapsed kernel of degenerate matter. 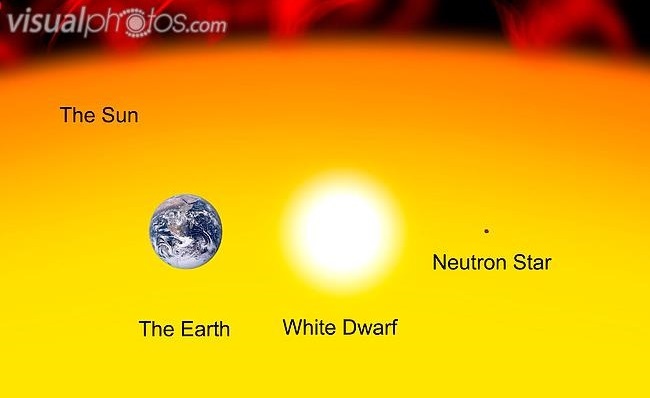 While this type of star is far smaller in physical dimensions than its former self, the degenerate matter itself is extremely dense, weighing in at about 5000 tons per teaspoon. The environmental impact of fusion alone (or lack thereof) is more than enough to research and perfect this technology. Fusion has the potential to make inexpensive electricity far more readily available and ultimately cheaper to operate in terms of raw materials, waste disposal, and manpower. OK, BUT HOW WILL FUSION ENERGY AFFECT ME? Potentially, the only end result you and I might see is a change in our power bills, probably for the better – but keep in mind that, since fusion energy isn’t quite available yet, we really have no idea what the end cost is going to be. I personally suspect that we’ll initially see zero change in our power bills, but over time the regularly inflating cost of buying power will become steadier, more predictable and less severe. HOW WILL FUSION ENERGY EFFECT THE WORLD? Commercially, big corporations would initially hold the monopoly on practical fusion power. After all, it’s the corporations that are mostly funding fusion research, even on the academic level, although the U.S. government isn’t entirely divested. But competition should keep costs down. Helium balloons to become more prolific? I hope so. Space travel will become cheaper and faster. A trip to Mars could take one month, instead of the current 6 months.